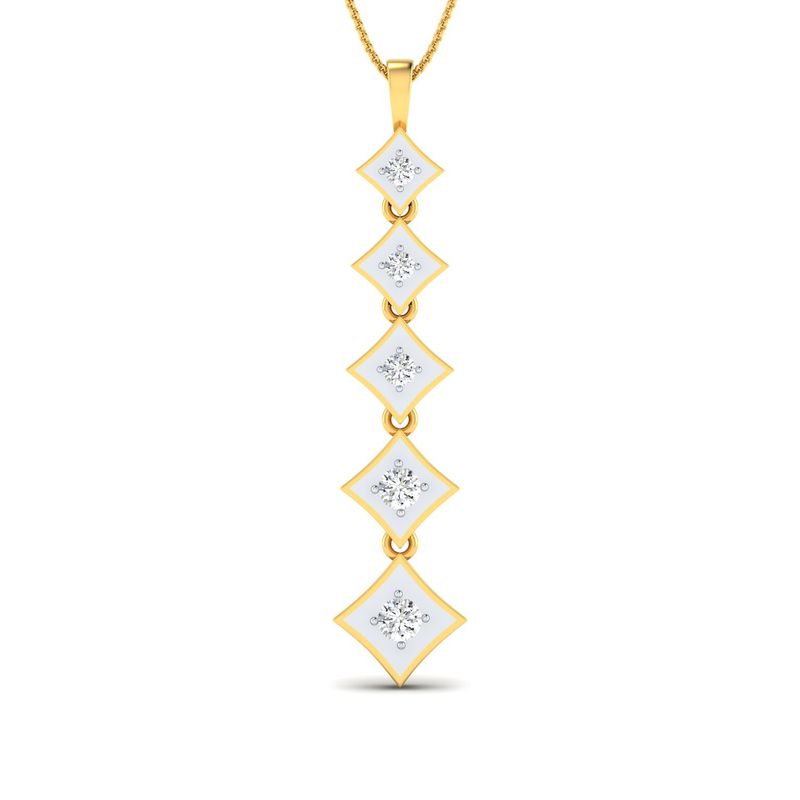 Designed in a multi-step pattern, this diamond pendant is a surefire statement piece of the season. Gift it to yourself or your loved ones, its scintillating vibe will surely grip the wearer and the people around. What's more! It's two-tone look and feel adds the much needed opulence to the wearer's attire. So just shop, sport and shine on.